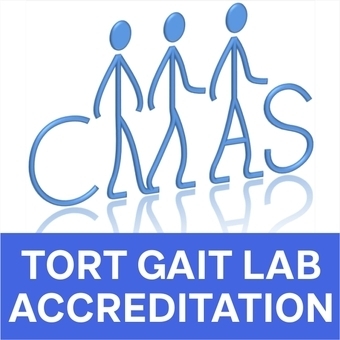 After an external audit of facilities and protocols, the Clinical Movement Analysis Society of UK and Ireland (CMAS) accredited the motion and gait analysis laboratory at the Institute of Motion Analysis & Research (IMAR) at the TORT Centre. IMAR has now been accredited since 2011 and was among the first laboratories to be accredited in UK. Jan Herman, Advanced Physiotherapy Practitioner from NHS Lothian Gait lab, conducted the full external audit on behalf of CMAS on 15 May 2018 with Dr Graham Arnold (IMAR Technical Manager), Mrs Linda Johnston (Clinical Audit Services Manager), Mr Sadiq Nasir (IMAR Project Support) and Professor Rami Abboud (IMAR Director) in attendance. A major focus of the work being undertaken by CMAS is the development of standards for the operation of clinical movement analysis laboratories in the UK and Ireland. As part of this work CMAS accredits gait laboratories that are known to be working in accordance with the published standards. All accredited laboratories are subject to regular internal and external audits. Following staff changes due to retirement, and major restructuring and improvement of working practices to avoid single point of failures, IMAR continues to support NHS clinical service in the study and care of mainly cerebral palsy sufferers, some of whom have been attending our clinics for many years. Other orthopaedic related problems are also analysed and investigated at IMAR. Examples of motion capture using retro-reflective markers and gait analysis using Vicon software. IMAR has two fully integrated areas that act as interchangeable motion analysis laboratories providing clinical and sports services as well as supporting a wide range of research and commercial studies. Each laboratory is equipped with the most advanced optical 3D motion capture systems available, multiple force plates, wireless EMG capture systems and a specialised reporting tool to help visualise gait data. Whether it is determining a child’s walking pattern, analysing an athlete’s movements or understanding the ergonomics of a new surgical instrument, IMAR can provide the environment, the expertise, the investigation and the solution – the sky is the limit. 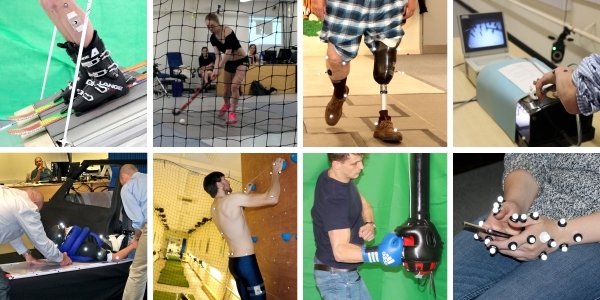 Various research projects carried out recently at IMAR’s gait and motion analysis labs. If it moves then we can analyse it!